Streams/TV: Streamed Live on our Facebook Channel. Eleven years ago, Palestine was the first team to play in Iraq following a FIFA ruling that allowed the Lions of Mesopotamia to host games in Ebril. Palestine went one further playing two games against Iraq with the latter hosted in Al-Shaab Stadium in Baghdad. Unfortunately for Iraq, they could only manage to host two competitive fixtures in Iraq during that time (the initial stages of 2014 World Cup qualifying) before extenuating factors prevented them from hosting games. Over the last 12 months, the Iraq FA has made several overtures to FIFA and has finally managed to green light Basra, Karbala, and Erbil. On Tuesday, Palestine will play in the 65,000 seat Basra International Stadium; designed to look like a Palm tree's exterior and built to the highest specifications. Despite the relatively low stakes, fans are expected to show up in large numbers. The friendly, which was announced before Friday's Asian Cup draw, ends up being the perfect preparation for Palestine's group stage opponents. Palestine will lock horns with Syria and Jordan in Group B and Iraq provide the perfect test for Al-Fida'i. Iraq, who have Yemen in their group, will also value this test particularly if interim manager Noureddine Ould Ali sets up his team in a defensive shape. For players on both sides this may just be their last, best chance to make a statement about their national team credentials. Iraq, much like Palestine, heavily draw on players that ply their trade outside the country's borders. With league commitments holding out the likes of Justin Meram, Ali Adnan, and Brwa Nouri for Iraq this will be an opportunity for many of the Olympic team players to force their way into the squad. 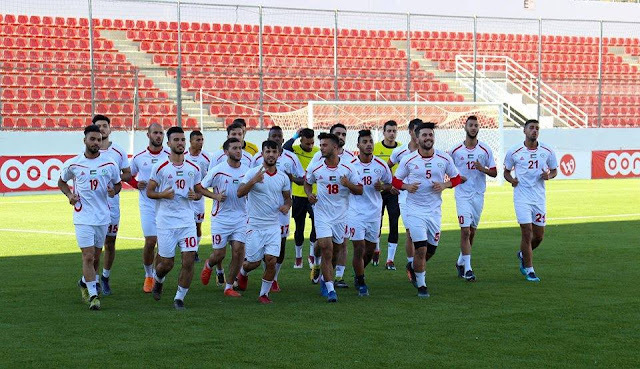 Speaking of the Olympic team, Palestine's U23 team warmed up for August's Asian Games in Indonesia by beating Qatar 3-0 courtesy of an Oday Dabbagh brace and a Shihab Qombor strike. The former has travelled to Iraq alongside Musa Firawi to link up with an all-WBPL based squad. The ongoing saga of the PFA's decision to fire Abdel Nasser Barakat and bring in Julio Baldivieso has taken attention away from the players and the team itself. 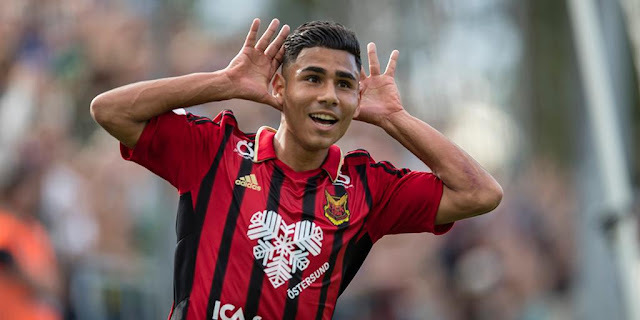 With Baldivieso gone, but with no permanent replacement announced, there still is the small issue of who will be on that plane to the UAE in just over 240 days' time. The goalkeeping trip of Rami Hamadi, Ghanem Mahajneh, and Toufic Ali has been set for the past two years, and is unlikely to change. That leaves 20 places- essentially two for every position on the field. Alongside the three aforementioned goalkeepers the backline is set- captain Abdelatif Bahdari and Haitham Dheeb will be partnered in the heart of defence with Abdallah Jaber and Mus'ab Al-Battat on the flanks. In midfield; Mohammed Darweesh, Jonathan Cantillana, Sameh Maraaba, and Tamer Seyam are nearly guaranteed of a spot in the squad. That leaves eleven slots up for grabs and with a dozen or so Palestinian players playing in Europe and South America also vying for those places. The race to back up the first choice defenders will see Fadi Salbees fend off competition from Yousef Al-Ashhab. Over on the right flank, Musa Firawi will look to push out 34 year old Alexis Norambuena out of the squad. At centre back, the partnership of Dheeb and Bahdari continues but there has been significant movement in the stock of their backups. Gone is Mohammed Abu Khamis but his Hilal Al-Quds partner, Tamer Salah, has found a way to stick around with the national team. That said, Ahli Al-Khaleel's Mohammed Saleh has been given a run of games and looks to be the third choice centre back. A youth movement should force Tamer Salah as it looks increasingly likely that Michel Termanini will be brought in to learn and eventual take over the role. At 32, Salah faces an uphill battle to make the Asian Cup squad but the veteran has defied the odds before and will not go quietly. Further up the pitch, Shadi Shaban's imperious form has waned, and it could just open the door for other central midfielders, such as Odai Kharoub to stake a claim. Palestine's deepest positions are in attack. It's a far cry from the situation four years ago when the team's entire attack was built around Ashraf Nu'man and Abdelhamid Abuhabib in the absence of an out-and-out striker. Islam Batran and Ahmad Maher will need to make the most of their opportunity with the likes of Hosam Aiesh, Jaka Ihbeisheh, Mahmoud Eid, and Ahmed Awad all still competing for a place in Australia. The situation is even more dire for WBPL-based strikers. 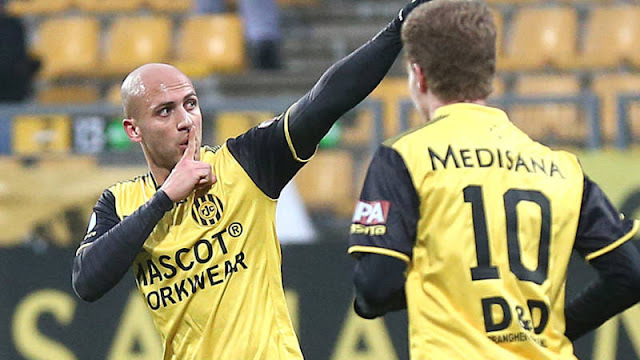 The league's top scorer, Khaldoun Al-Halman, was not called up- with an opportunity being handed to Rami Musalmeh instead- who last played for the national team in 2014. Mohammed Natour- who scored on his national team debut in October- is also in the squad having lead Merkaz Tulkarem to promotion with 9 league goals. Oday Dabbagh who has been in scintillating form should make the squad, thanks to his ability to play on the wing and as a forward but even the wunderkind cannot rest on his laurels. Mahmoud Wadi and Saleh Chihadeh have scored put up double digit goals in Jordan and Switzerland this season and are in pole position to join Yashir Pinto Islame on the plane to the UAE. There is further competition from Rodrigo Gattas who has resurrected his career under the watchful eye of Leo Zamora and is Rangers's leading scorer with four goals in nine league games.